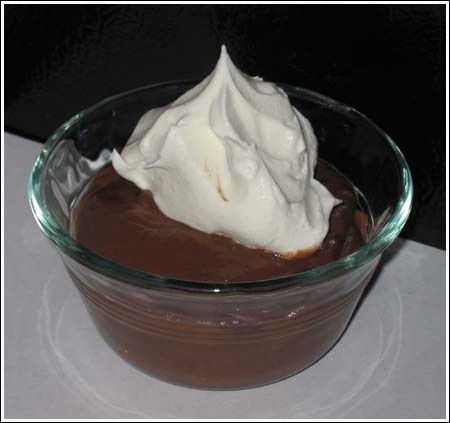 This is my all-time favorite recipe for chocolate pudding. 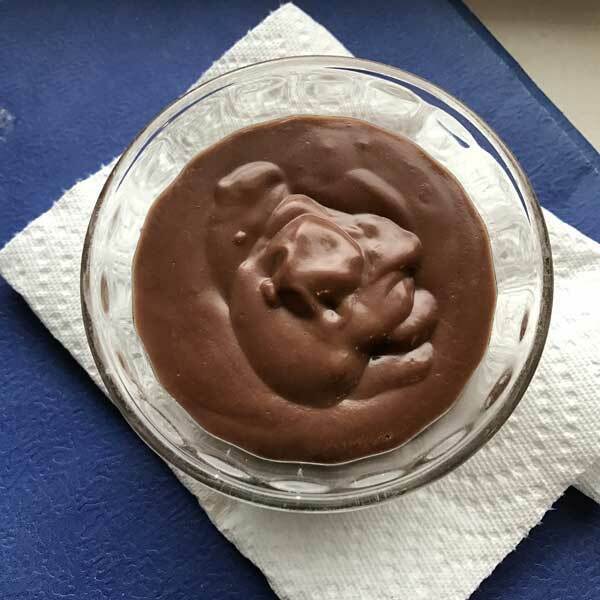 It’s a fairly small batch, so I call it Chocolate Pudding for Two. The original version of the recipe is from Penzey’s Spice Company, but since we’re a small family, I cut it in half. Feel free to double it if you want more. I also brown the butter to give it a bit more depth. but you can skip that step and just put the butter in at the end if you prefer. This recipe does not contain any eggs. In a heavy saucepan, melt butter and heat over medium just until it becomes fragrant and starts to turn brown. Turn off heat (or remove from heat if using an electric stove) and pour butter in a small cup set next to stove. In the same saucepan, combine all of the dry ingredients. Turn heat back to medium and slowly add the milk, stirring constantly with a wire whisk or a wooden spoon. Bring to a full boil over medium heat. Leave at boil, stirring constantly for about 2 minutes . Turn off the heat and add the melted browned butter and vanilla. Pour into a bowl or 3 individual bowls. Let cool for about 30 minutes at room temperature, then transfer to the refrigerator to chill.